VAIL, Colo. – Nov. 12, 2018 – A combination of some of the best early-November snowmaking conditions and more than four feet of natural snowfall last week have allowed both Vail Mountain and Beaver Creek Resort to open early for the 2018-19 ski and snowboard season. 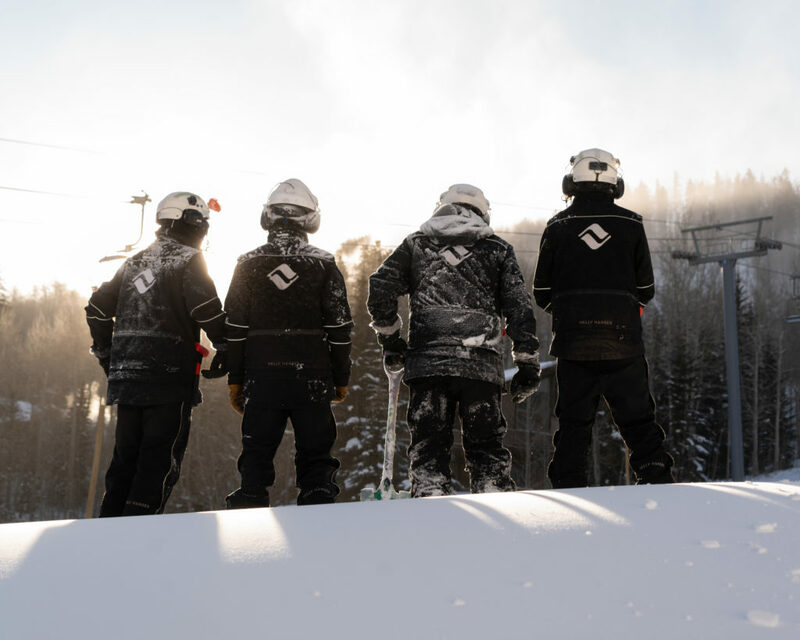 Vail, originally slated to open on Friday, Nov. 16, will open for the season on Wednesday, Nov. 14, at 9 a.m. Beaver Creek will open Saturday, Nov. 17, four days ahead of its scheduled Nov. 21 opening date. Beaver Creek will open the mountain all the way to the top with intermediate terrain on Gold Dust accessed via Centennial Express (#6), plus beginner terrain in Red Buffalo Park accessible via the Cinch Express (#8) and last year’s new Red Buffalo Express (#5), and Haymeadow Park and the Haymeadow Express Gondola (#1). Opening day festivities will include a special Cookie Time in the morning. The last chance to purchase the 2018-19 Epic Pass Epic Pass and the entire lineup of Epic Season Pass options – including the Epic Local, Epic 7-Day, Epic 4-Day, and Epic Military Pass – is Sunday, Nov. 18. The Epic Pass provides skiers and riders with the greatest multi-resort pass value in the ski industry, offering access to more than 65 resorts in eight countries for $949. New for the 2018-19 winter season, the Epic Pass will now feature unlimited, unrestricted skiing and riding at 19 mountain resorts including Crested Butte, plus seven days at Telluride, in addition to unlimited access to Vail, Beaver Creek, Breckenridge, Keystone and Arapahoe Basin. The entire lineup of passes is available for purchase at www.epicpass.com. Vail Sports locations in both Vail and Lionshead Villages will be open on Wednesday, from 8 a.m.-6 p.m. Guests can also book their rentals online in advance at rentskis.com. Spruce Saddle Lodge will open for the daily operations on season for Nov. 17. Beginning on Nov. 17, Toscanini will be open for dinner in Beaver Creek Village, and the Beaver Creek Starbucks store opens on Nov. 12 for the season. Beginning Saturday, Nov. 17, the Beaver Creek Ski & Snowboard School offices will be open with lesson offerings and will operate four magic carpets for lessons. For the best price guaranteed, guests are encouraged to book in advance online at www.beavercreek.com or by calling (970) 754-5300. Paid parking in the Bear and Elk Lots will begin on Nov. 17. Parking is $10 per day and is complimentary after 1 p.m. A 10-day punch pass is available for purchase for $75 and is available at the Ticket Offices in Beaver Creek Village or the Landing. Complimentary direct shuttle service is provided from each lot to Beaver Creek Village. The Beaver Creek Village Connect app is now available for download on the Apple App Store or Google Play. The new Village Connect app provides door-to-door, on-demand rides and information to property owners and guests in Beaver Creek, Bachelor Gulch, and Arrowhead. For additional information regarding parking, call (970) 949-4911. The Ticket and Season Pass Offices located in Beaver Creek Village will be open daily beginning Nov. 17 from 8:30 a.m. to 4:30 p.m. The Ticket and Season Pass Offices are currently open from 9 a.m. to 4 p.m. daily. For more information or advanced lift tickets, visit www.beavercreek.com. Beaver Creek’s World’s Best Chocolate Chip Cookie Competition remains scheduled for Wednesday, Nov. 21, with an exciting array of events. Five finalists will serve up their delightful creations to an eager crowd of cookie fans and one person will walk away $1,000 and bragging rights as the Official Chocolate Chip Cookie Recipe of Beaver Creek for the 2018-19 winter season. At 2 p.m., the aroma of 5,000 cookies will fill the air in Beaver Creek Village, as the judging begins and cookies are doled out to eager guests. On Friday, Nov. 23, Beaver Creek’s 38th Annual Tree Lighting Ceremony ushers in another world-class ski season and the beginning of the holiday season at Beaver Creek. A Thanksgiving week tradition, Beaver Creek’s 38th Annual Tree Lighting Ceremony brings families together to celebrate the magic of winter, skiing in the mountains, and the holidays. Set in the heart of Beaver Creek Village, enjoy a wide range of entertainment, culminating in the lighting of the tree and fireworks.